Have you bricked your Moto G4 or G4 plus? Are you reverting back to Stock ROM? Whatever the reason may be, Flashing a Stock ROM for Moto G4 Plus can solve many problems. 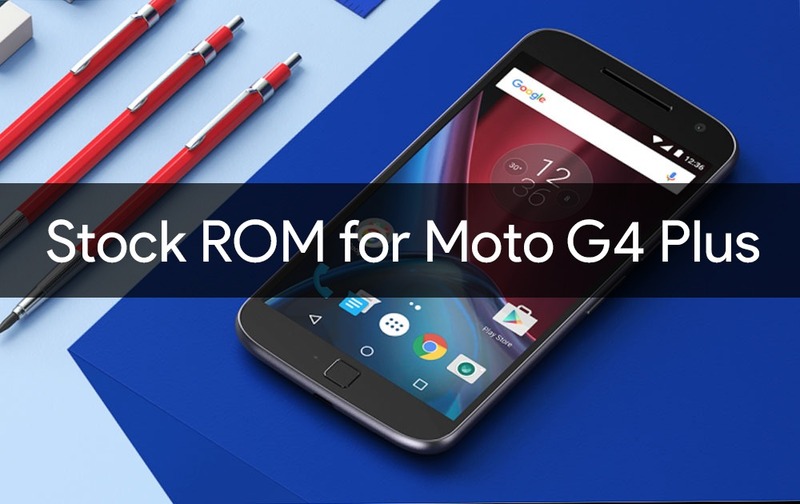 In this Post, You will find the Stock ROM/Firmware for Moto G4 and Moto G4 Plus, All Necessary files you need and a Full Step by Step Guide to flash the Stock ROM. Note: Flashing the Stock ROM on your Moto G4/G4 plus will Wipe everything on your Internal Storage and will remove the Root access. To Root again, Check out this Post. Download ADB and Fastboot drivers and Install them. Download Moto G4/G4 Plus drivers and install them.